I've recently dug out a lot of pictures from my distant past which relate to a TV project I'm working on. More on that soon, However this picture captures a time in my life (around 1974, I was 18) when relations between myself and my father were at an all time low. Actually, when I remember, they weren't that hot between me and my mother either. 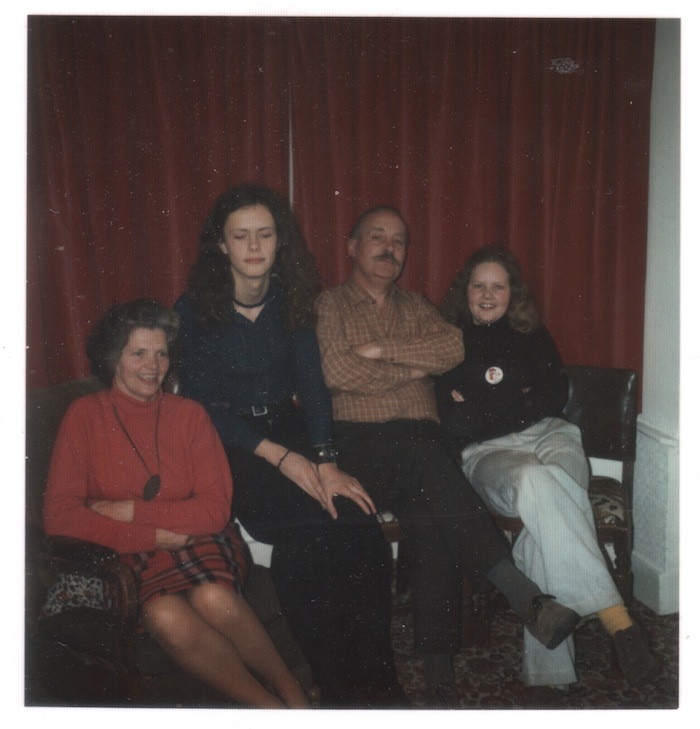 The picture features, from left to right, my mother, myself, my father and my sister. He'd fought a war and seen his mates blown to bits and then had children and one of them turned out like me. The poor man. Now having an 18 year old myself who is nothing like as much trouble as I was, of course I sympathise with the old fella. We made up before he died and for most of my adult life I got on with him very well. He was an incredible man but of course I would say that, he's my dad.